If you grew up on the Northern Plains, where the icy winter wind whips across fields of snow and down darkening city streets, where your cheeks burn from the cold even as you turn your back to the gale and lean your way toward the warm lights of home, then you know what it is to feel frozen. And you appreciate the value of warmth. Of rushing into a toasty house and slamming the door against the cold. Of feeling the frost melt off your eyelashes as you unwrap your scarf, pull off your hat and move toward the fireplace. That reliable, dependable warmth is the business WBI Energy is in. The Bismarck, North Dakota-based company provides the infrastructure to deliver natural gas to heat homes and power businesses. Starting next spring, the company will be building a significant new project in the Red River Valley of North Dakota and Minnesota. 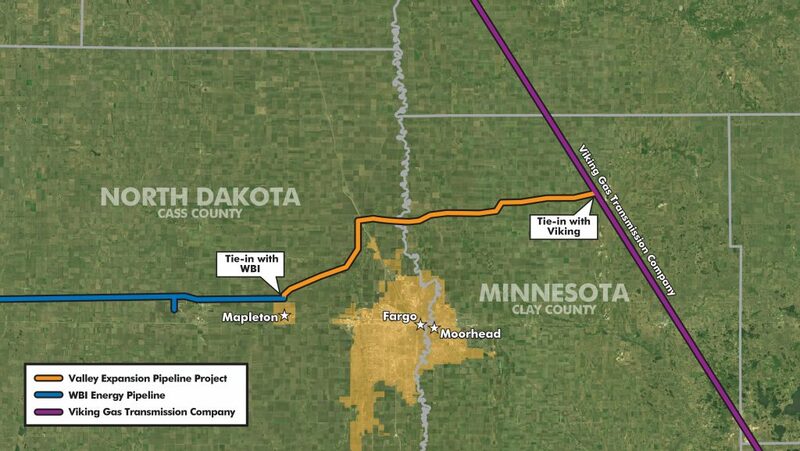 The Valley Expansion project will connect WBI Energy’s existing natural gas system near Mapleton, North Dakota, with the Viking Gas Transmission Company system near Felton, Minnesota. Construction of the 38-mile, 16-inch-diameter line is anticipated to begin in the spring of 2018. The project secured capacity commitments early on, both for residential use and from manufacturers. It’s designed to transport 40 million cubic feet of gas per day to the Valley and beyond, and through increased compression could be expanded in the future. The natural gas will be able to flow east or west to satisfy demand. The project is scheduled to go into service in November 2018. It is being overseen by the Federal Energy Regulatory Commission. WBI Energy has submitted a proposed route to the FERC, has conducted civil, cultural, and biological surveys along the route, and has had multiple meetings with landowners and the public. The FERC anticipates completing an environmental assessment by the end of September and issuing it for public comment.